Lonavala is a picturesque town and hill resort situated in the Sahyadri Hills on the Mumbai-Pune Express highway after crossing the Khandala Uphill’s. Oberio Grande Resort is an elegant resort situated near Tungarli Dam. It is enclosed by Hillocks and green fields. It is one of the best four star hotels in Lonavala. This resort has 41 rooms and suites with all the modern amenities. This resort offers spacious conference hall for corporate travellers to organize seminars and conferences. 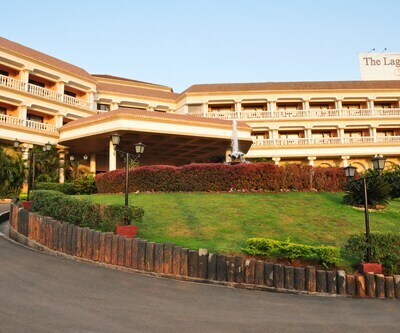 whispering woods resort is one the luxurious four star Lonavala hotels. This resort is 100 km away from Mumbai surrounded by Sahyadri Hills. ‘Tamarind Kitchen Menu’ is a multi-cuisine restaurant which serves Indian, Italian and Continental cuisines. orchard resort offers 41 rooms with all the facilities and modern conveniences. It is an ideal hotel for leisure and business travellers. The in-house ‘Tiffany’s’ restaurant offers Indian and International delicacies. This resort offers 4 multi-functional halls namely-Embassy Hall, Kensington Hall, Business Centre and Imperial Boardroom. Citrus Hotel is one of the perfect four star hotels in Lonavala. This resort offers 35 elegant rooms overlooking the private balcony from where one can enjoy the scenic greenery of Sahyadri Hills. The on-site restaurant serves Indian, Italian and Chinese cuisines. the lagoona resort is one of the best ECOTEL Holiday Resorts in Lonavala. It offers 68 rooms with all the facilities. The in-house ‘Patio’ restaurant serves Indian, Asian and Italian cuisines. This resort has a spacious banquet space for organizing weddings and other social events.